Today, i.e. April 02, 2017, the prime minister of India inaugurated India’s longest tunnel in Kashmir known as the Chenani-Nashri Tunnel, also known as Patnitop Tunnel. This is considered as an engineering marvel in India and it will reduce the distance between Jammu and Srinagar by 30.11 km and time by two hours. As on June 1, 2016, the twin tubes of GBT (Gotthard Base Tunnel) which run from north to south under the famous Alps is world’s longest and deepest train tunnel. The first thought of building a tunnel under the Alps was given way back in 1947 but the commission started deliberations in 1963. Then in 1992, the Swiss voters gave the go ahead to this project via referendum and the on site work started in 1995. The TBM’s (Tunnel Boring Machines) were deployed to work in 2002 from both the North and South end. In March 2011, the tunnel boring was completed. So after all the delays and hurdles, finally The Mumbai Metro project phase 1 was launched on 8th June, 2014. More than 2.5 lakh passengers traveled on the very first day of its launch. 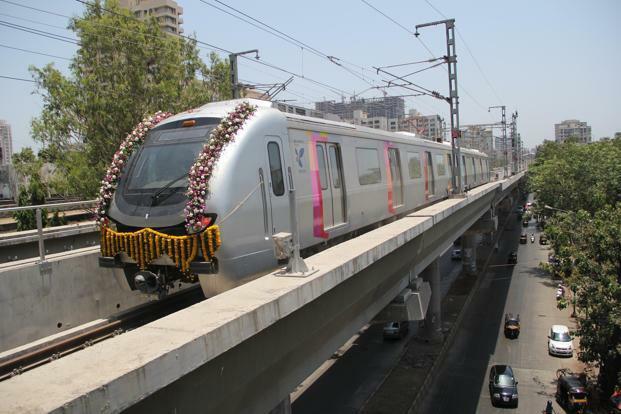 1) The Mumbai Metro is India’s first public private partnership metro project. In this project, construction, operation and maintenance are all given to Mumbai Metro One Pvt Ltd which is a joint venture of Anil Ambani’s Reliance Infrastructure, Veolia Transport and the Mumbai Metropolitan Region Development Authority. Lodha’s World One will bring India’s name in the list of some of the world re-known engineering projects as it will be the tallest residential tower in the world. Location- Upper Worli, Mumbai, Maharashtra, India. Pei Cobb Freed & Partners are the architects for World One. This company has more than 200 awards for design excellence which include 24 AIA National Honor Awards. Leslie E. Robertson Associates (LERA) are the ones doing structure designs for this project. They have vast experience in designing tall buildings as their earlier projects included the Shanghai World Financial Center, Bitexco Financial Tower, World Trade Center in New York. 1) World residences – These are the ones starting from level 1 to level 43 with three and four bedroom houses along with curved glass living room and wide sundecks along each room. 2) World Villas – These lavish four-bedroom flats will be from level 43 to 117 and are designed in such a way that they offer 270 degree view of the city. Other amenities include home theatre, an outdoor Jacuzzi, a private pool and wide sundecks in every room. 3) World Mansions – These are the super luxurious flats starting from 117 storeys. These houses are sprawled over two floors and offer 360-degree view of the city. This is not for even rich, these are only for superrich as the apartment prices start from Rs 7.5 crore (US$1.2 million) and go all the way to Rs 50 crore (US$8.0 million). 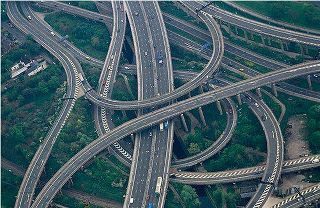 Gravelly Hill Interchange also known as the Spaghetti Junction is one of the iconic civil engineering work in Birmingham, United Kingdom. Gravelly Hill became famous as the Spaghetti Junction due to its complex design. The construction work started in 1968 and was completed in May 1972 and till date its considered as one of the most complicated road network in world. We at engineeringcivil.com are thankful to Sir Thomas for submitting this Civil Engineering Wonder information to us.